Rare Deal! 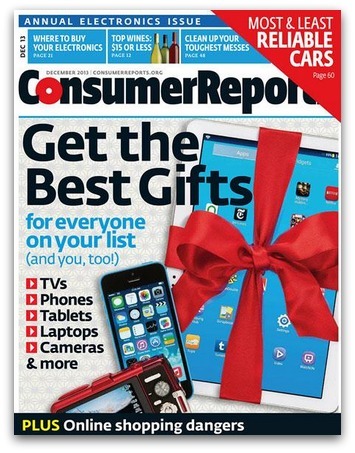 Consumer Reports magazine subscription for $17.49 per year! One of the smartest things that you can do to as a consumer is to be informed. Consumer Reports is an ad-free magazine that offers consumer feedback on everything from your everyday purchases right up to those big investments like vehicles and appliances. Don’t miss this rare pricing! 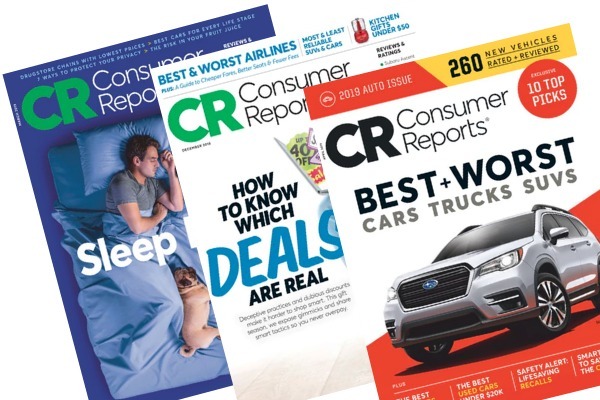 Right now you can order a Consumer Reports magazine subscription (13 issues) for only $17.49 with code MONEYSAVING at checkout. You can order up to 2 years at this price! This rare pricing is valid through Thursday, March 29, 2019. About Consumer Reports Magazine: Consumer Reports is renowned for its unbiased testing and product reviews. Each issue features reviews of cars, appliances, electronics, health, finance, product recalls and more. This magazine subscription will help you find the best products in the world, don’t buy another thing before consulting Consumer Reports. Start shopping smarter today! « Leather Earrings only $8.99 shipped! Just wanted to clarify – you can only renew for one year at this price, but if you were buying multiple gift subscriptions, you can order more than one with the discount!